With a personal thermostat on your wrist, cooling down or warming up is as easy as pushing a button. Embr Wave provides a dose of temperature-regulating relief wherever you are, any time you need it. Makers Sam, Matt, and David met as Materials Science students at MIT. 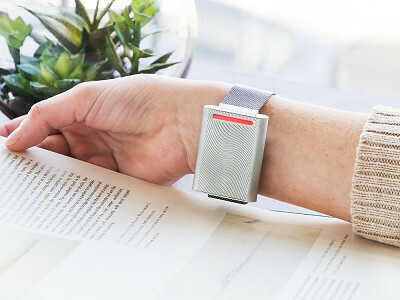 Their wearable thermostat has 16 intensity levels for you to zero-in on the just-right temperature, whether you’re feeling warm while traveling or chilly in the office. It works just like how holding a warm mug can make you feel cozy, or dipping your toes in water cools you down. 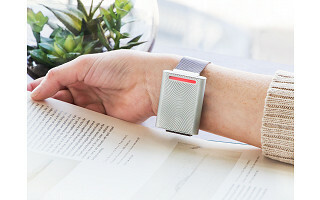 The device creates a warm or cold burst that, when placed against the sensitive skin on the inside of your wrist, triggers your whole body to feel more comfortable. How often can you use this device in quick succession? You can use cooling about two or three times in a row (in a span of 5-10 minutes) before the device needs to rest for a bit because of overheating. You can use heating as many times in a row as you want. How long can a user expect to feel temperature relief for? 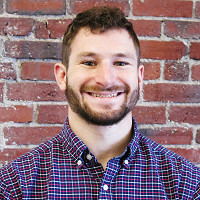 Most users report feeling relief even after the session has ended, but how long exactly varies person to person and depends on how uncomfortable they were initially. Should the device be worn on the inside or outside of your wrist? Is one more effective than the other? Most people find the sensation stronger and the relief more effective on the inside of your wrist, but it's a personal preference. Is there an app you have to use to control the Embr Wave? Users do not need the app to use Embr Wave. They can control the temperature directly through the device. But the device is app-connected in that we have the Embr Wave app live for iOS and Android. The app lets users update the firmware, track when they are too warm or cold, and download other new features that will be released in the coming year (but aren't ready to announce yet). With a personal thermostat on your wrist, cooling down or warming up is as easy as pushing a button. Embr Wave provides a dose of temperature-regulating relief wherever you are, any time you need it.